When will UDOS be available for sale? Will UDOS be available worldwide? Will UDOS be available for private label? Where/when can I test it? Country Manufacturing booth and check it out. How much will UDOS cost? The targeted MSRP will be between $600 and $700. For distributors: please check with your Lake Country sales representative for distributor pricing. Why did Lake Country decide to start making power tools? Lake Country Manufacturing has been designing and manufacturing buffing and polishing pads for over 40 years. With our deep roots in the detailing market, designing a best-in class power tool was a logical next step for us. Will there be more tools to come? Yes. Stay tuned. Follow us on social media or visit LC Power Tools introduces patented UDOS Random Orbit Polisher for ongoing updates. Is LC Power Tools owned by Lake Country Manufacturing? LC Power Tools is a new business owned and operated by the same owners of Lake Country Manufacturing. What does UDOS mean? How did you choose the name? UDOS stands for User Defined Orbital Stroke. The name defines the patented innovation that sets the tool apart from the competition. Is UDOS corded or cordless? 110 or 220? UDOS is a corded tool. UDOS will be available in both 110 and 220 volt. US and European plugs available. Will UDOS be available in 50hz, 220V for international customers? Will UDOS have the CE markings? Is UDOS a Rotary or DA Tool? UDOS is a Dual Action Polisher that offers four different orbit choices, from short to long throw strokes. What accessories will be available for the tool? Lake Country Manufacturing will offer a brand new, proprietary line of UDOS pads and backing plates designed to work with the polisher. The new pads will be unveiled at the Mobile Tech Expo in January. Is UDOS designed for professionals or DIY/hobbyist users? UDOS was designed for use by professional detailers who depend on their tool to make a living. Hobbyists or DIY users will enjoy the patented features and benefits that UDOS offers. What’s unique about UDOS? Why should I buy it? UDOS allows you to make one tool purchase to handle multiple applications. UDOS is dynamically balanced which significantly reduces vibration during use causing less arm and hand fatigue. UDOS is the most powerful DA tool on the market so it can handle any job. UDOS cord exits the machine slightly upward to reduce cord fraying. What are the different orbits? Why would I want one tool that has four orbits? UDOS will offer 4 orbit choices, from short (8mm) to long (21mm) in one tool. 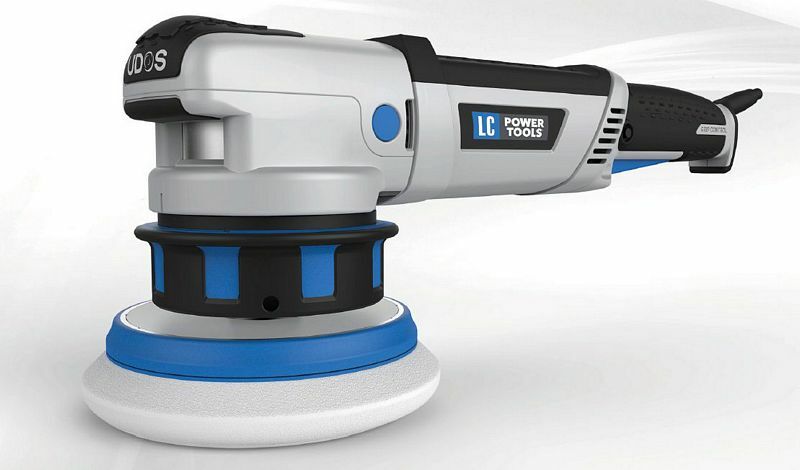 This patented innovation from LC Power Tools saves detailers money, time and space. With one tool purchase, you can do all the work of four different tools. Easier to carry to site with fewer accessories needed. Saves time by eliminating need to switch tools while detailing. What’s the warranty for UDOS? As we are in the final design stage of the tool, the warranty will be finalized in the near future. Visit our website, LC Power Tools introduces patented UDOS Random Orbit Polisher for more information and updates. Sign up for our email list on the website, and we’ll send updates to you. We’ll also be sharing updates via our social media channels. wow very cool news !!! Thanks Mike! Some good info so far, and hopefully soon LC will release more specifics such as orbit stroke lengths (assuming 8, 12, 15 and 21), motor power, machine weight, OPM, number of speeds, where it's made, does it come with 5" and 6" plates standard, etc. The design kind of looks like the Makita PO5000C. It says 4 in 1,what 4 things does it do and what machines would this one replace? Is UDOS a free spinning or gear driven polisher? Four different orbits..8m to 21m. Four different orbit stroke lengths to choose from - no solid answer as to what they are? I was told 8mm to 21mm but nothing in-between.